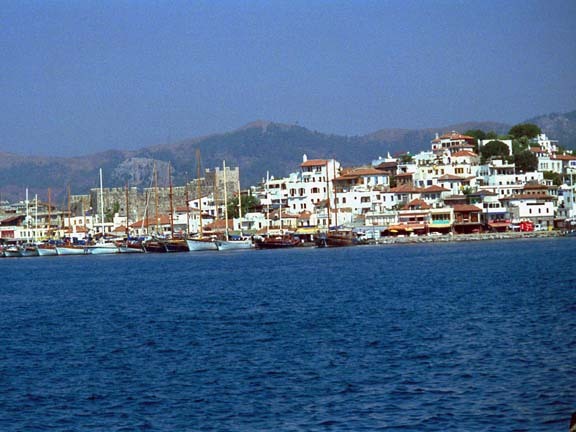 Back in July 1998, we spent a one week last minute package holiday in Marmaris, Turkey. 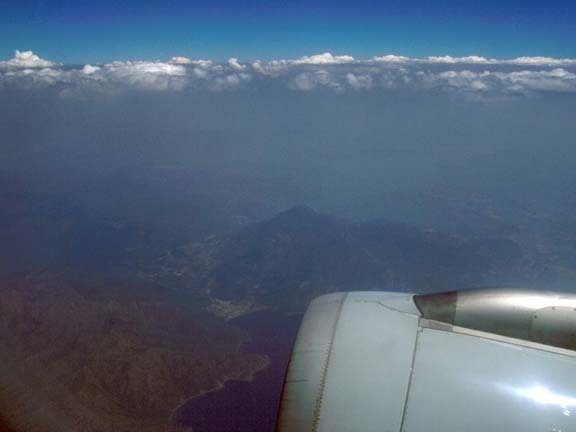 The sun had not been shining brightly, it was hazy weather (13 kB) instead, at temperatures of 42°C. However, you could stand the heat as the region is not as humid as the east coast around Antalya. Unfortunately, our hotel turned out to be a slight disaster and the air conditioning stopped working each time the electricity went down, which turned out to be very often. They say Marmaris is the most expensive place to spend a holiday within Turkey as this is where rich Turks traditionally spend their holiday. When it comes to sights, there was basically only one castle (View from the harbor, 13 kB) - which happened to be closed every time we passed by - and a picturesque bazaar (51 kB). We didn't like the beach at all as it was'nt wide and was adjacent to a seaside promenade with one restaurant next to the other. This is why Marmaris is ideal for someone who likes dancing the night away in one of the many nightclubs and uses the beach preferably for getting some sleep during the day. 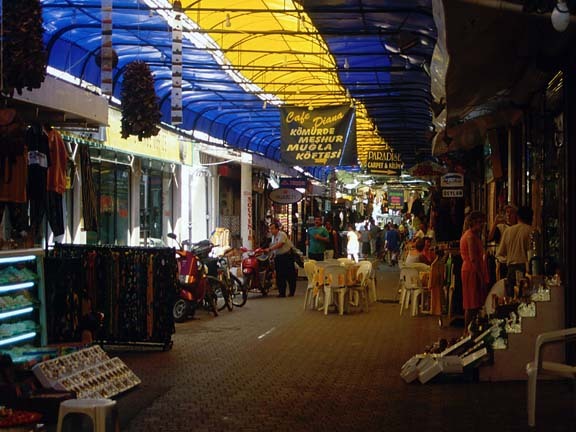 Most tourists coming to Marmaris are not really interested in Turkish culture. This was why a tour to Ephesus was cancelled in the end as there were too few people coming along. Still, we booked 3 really nice day trips which made up for this.